Canna-Tie offers endless uses within the garden or grow room. Cut to length spool allows for many plant training and supporting options. Canna-Tie is not only limited to plant applications but many facets of the grow room as well. 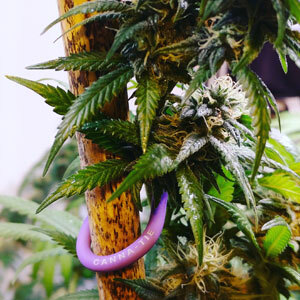 You can trust Canna-tie to hold up expensive equipment, organize cords, support duct work, hang tools, and so much more. It's durable construction can substitute tedious tools and equipment, providing a fast and easy securing method. Packed on a round spool. Does not kink or bend when packaged like other manufacturers causing weakness points in the wire.